Originally known as the SportsAid Foundation, and now known as just SportsAid, it was founded in 1976 with the specific idea of raising money from private individuals and businesses to give financial help to some of the UK’s amateur sports men and women. 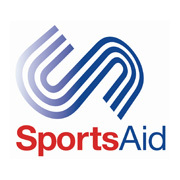 During the period between 1983 and 1997, SportsAid was a major contributor of money to many leading disabled and able bodied athletes. The role of SportsAid changed in 1998 when Lottery funding become available to these sportspersons, and so the organisation focussed on providing help to youngsters between the ages of 12 and 18. They compete in national squads and can be chosen from 25 different disability sports and 50 different able-bodied sports. Many well known companies are sponsorship partners, and since 1976 SportsAid has distributed over £20 million to individuals to help with training, accommodation and travel. All charities are seeking more money and helpers, and SportsAid is no different. They encourage people to get in touch with them and volunteer their help at many events as well as constantly looking for new sponsors to give financial help too. Many of the UK’s top sports people have been helped by SportsAid in the past, and their support for the athletes of the future is a vital role as well.